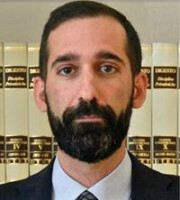 Emanuele Cammareri graduated in law from the Catholic University of the Sacred Heart in Milan in 2002 and was admitted to the Milan Bar of Attorneys at Law in 2006 (admitted to argue before the Supreme Court of Cassation in 2018). 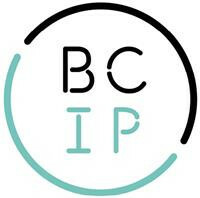 He has been a member of the Italian Bar of Industrial Property Consultants (Trademark Branch) since 2016 and the San Marino Bar since 2018. Mr Cammareri is an Italian and European trademark and design attorney with broad and longstanding experience in a wide range of IP matters. He is also a country-code top-level ‘.it’ domain name panellist and a technical consultant of the Court of Milan for trademarks, designs and domain names. Mr Cammareri regularly advises prestigious clients across several industries, such as fashion, entertainment, chemicals, manufacturing and pharmaceuticals. His practice mainly covers trademark law (pre-filing search analysis, filing, prosecution, opposition proceedings, cancellation and invalidation actions, out-of-court negotiations, licensing and co-existence agreements), patent law, unfair competition law, design law, copyright law, domain name law and customs law. Mr Cammareri is a member of the European Communities Trademark Association, the International Trademark Association, the International Association for the Protection of Intellectual Property, the Licensing Executives Society and the International Association for the Protection of Intellectual Property. He often writes articles on IP-related matters for the online legal magazine Sistema Società, which is published by IlSole24Ore.